Join this Bangkok City Culture bicycle excursion and you'll see this huge metropolis from a different angle. Cycle through narrow roads and small communities, meet the local people and visit the largest fresh market in Bangkok! Unforgettable! Meet the other participants and our local guide at our lounge. We select a bicycle and start with our amazing Bangkok Biking experience! NOTE: no meal included during this tour, only a snack. Return at our lounge with a lot of new impressions of the Thai capital. Bangkok will never be the same again! Transfer back to your hotel in Bangkok center. Cycling in Bangkok. Probably not the first thing that comes to mind when thinking about Bangkok. 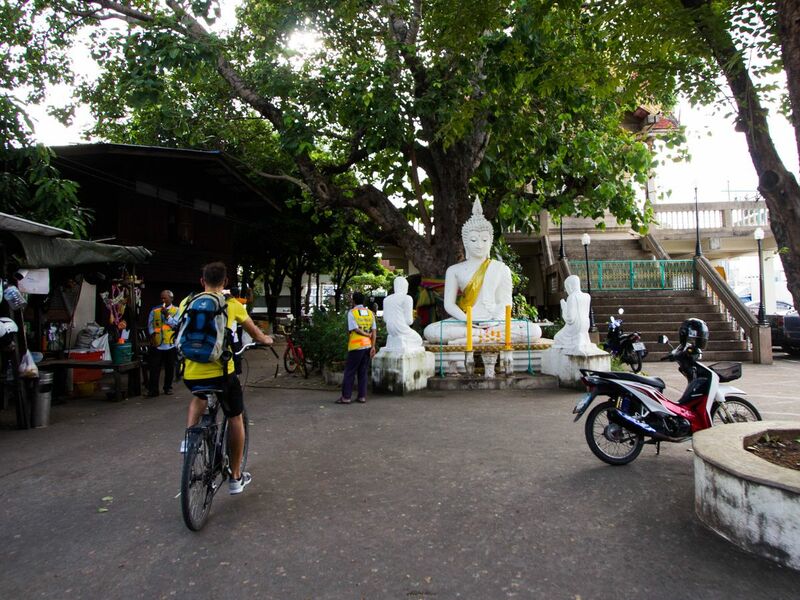 However, exploring Bangkok by bicycle is an exciting way to experience Thailand’s capital. Join us on this unforgettable bicycle adventure! Cycle through narrow roads and small communities, meet the local people and visit the largest fresh market in Bangkok! Ride through 2 famous public parks and meet the most famous permanent residents of Lumpini Park, the huge monitor lizards! We show you a part of Bangkok that you’ll never see from the skytrain, tuk-tuk or taxi! A totally different Bangkok as seen in all the tourist books and travel magazines. Go with us and let us take you off the beaten tracks!